Acura vehicles only. Please present coupon during write-up. Complimentary Loaner Car on Every Major Service! Acura vehicles only. Please present coupon during write-up. May not be combined with any other offers. -Keep dust, pollen and pollutants out of your passenger cabin with a new cabin air filter. Excludes Tires. 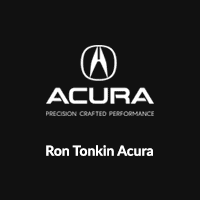 This offer may be combined with any other Ron Tonkin Acura coupon discount. Proof of Military Service required. Synthetic oil change $74.95. Prices on some other viscosities may be higher. Acura vehicles only. Please present coupon during write-up. May not be combined with any other offers. -Replace front brake pads and resurface front rotors OR replace rear brake pads.